Android leanback support libraryには, メディアコンテンツを閲覧表示するためのAPIが備わっている. Adapter for leanback activities. Provides access to a data model and is decoupled from the presentation of the items via PresenterSelector. Construct an adapter with the given PresenterSelector. Construct an adapter that uses the given Presenter for all items. A DataObserver can be notified when an ObjectAdapter’s underlying data changes. Returns id for the given position. The Presenter to return for every item. A Presenter is used to generate Views and bind Objects to them on demand. 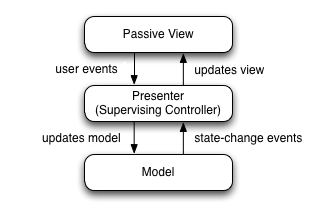 It is closely related to concept of an RecyclerView.Adapter, but is not position-based.